And what about President Ronald Reagan joking about bombing Russia? (CNN) -- Speaking off the cuff is always a bit of a tightrope act for the occupant of the nation's highest office, and even more so when it's in front of a room of reporters. President Barack Obama teetered on that high wire Thursday when he said that he and his advisers "don't have a strategy yet" for dealing with ISIS in Syria. The comment, which set off an instant firestorm of commentary, seemed to feed into the narrative cultivated by critics of the President that he has no coherent strategy. "Obama has given up even 'leading from behind,' " Republican National Committee Chairman Reince Priebus tweeted. "Now, as the world watches, he insists he has no strategy at all." Born into a wealthy family, schooled at an elite Massachusetts boarding school and then Yale, the nation's 41st President had more than a couple of strikes against him when it came to an elitist, out-of-touch public image. 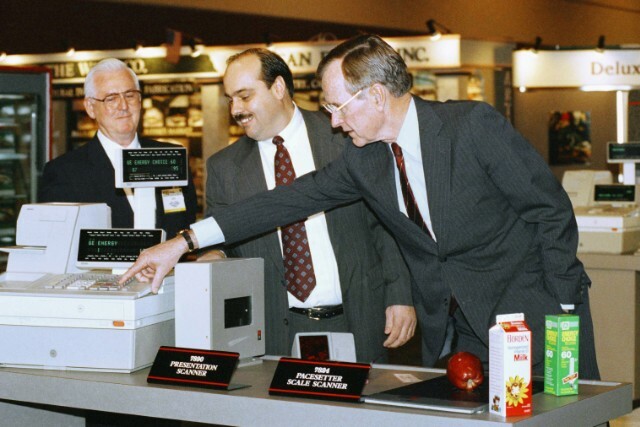 Whether the image was true or not, it was driven deeper into the public consciousness after a widely mocked 1992 encounter with a mock-up of a grocery store scanner. Media accounts of the encounter said the President appeared to be "amazed" and "bewildered" by the technology, which by then had long been in common use.
" 'If some guy came in and spelled George Bush differently, could you catch it?' the President asked 'Yes,' he was told, and he shook his head in wonder," wrote Andrew Rosenthal in The New York Times. The mythology has some flaws, Bush defenders say. According to an Associated Press article published not long after the encounter, the scanner's manufacturer defended the President, saying the scanner actually was pretty advanced for its day. "The whole thing is ludicrous," the AP quoted the company man as saying. "What he was amazed about was the ability of the scanner to take that torn label and reassemble it." 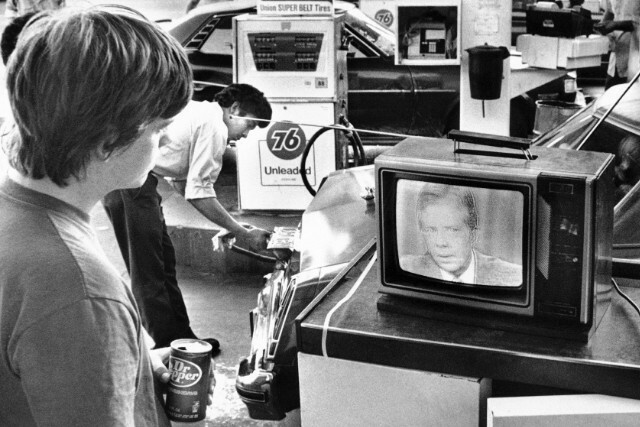 Carter never uttered the word "malaise" in his July 15, 1979, televised address on what he saw as a growing "crisis of confidence" in the country. But it, perhaps more than any other single word, came to describe Carter's presidency. "It is a crisis that strikes at the very heart and soul and spirit of our national will. We can see this crisis in the growing doubt about the meaning of our own lives and in the loss of a unity of purpose for our nation." And, he warned, it's "threatening to destroy the social and the political fabric of America." The speech didn't go over well with many who saw Carter as an ineffective hand-wringer who had no business possessing the inspirational bully pulpit of the presidency. Historian Sean Wilentz wrote in his 2008 book, "The Age of Reagan" that Carter "appeared to be abdicating his role as leader and blaming the people themselves for their own afflictions." "It was a form of anti-politics unlike any Americans had ever seen -- the chief magistrate, who was supposed to inspire the nation and lift it out of its slough of despond, was instead complaining about unrelieved anguish and emptiness," Wilentz wrote. But, like Bush's grocery store moment, the narrative had a flip side. According to author Kevin Mattson, Carter's approval ratings jumped after the speech, and mail poured into the White House from citizens who wrote they were moved to action by the speech and what they saw as refreshing honesty from a politician. 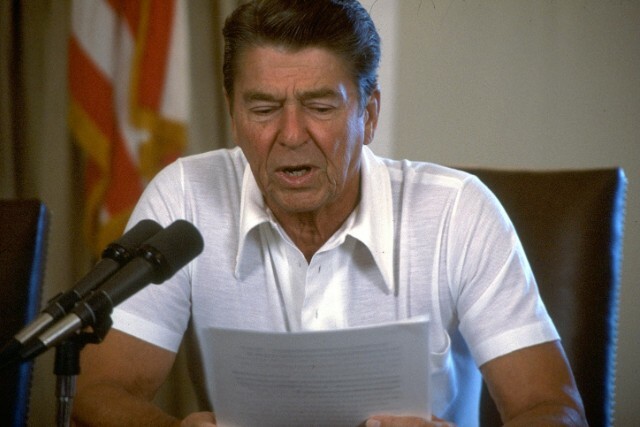 Making a voice check before his regular weekend radio speech at the height of the Cold War in August 1984, Reagan joked, "My fellow Americans, I am pleased to tell you I just signed legislation which outlaws Russia forever. The bombing begins in five minutes." While it was just a joke made by a man well-known for his love of quips and never meant for public consumption, the comment embodied beliefs among critics of Reagan as a dangerous hawk obsessed with doing battle against an "Evil Empire," his finger eagerly hovering over the trigger of America's nuclear arsenal. 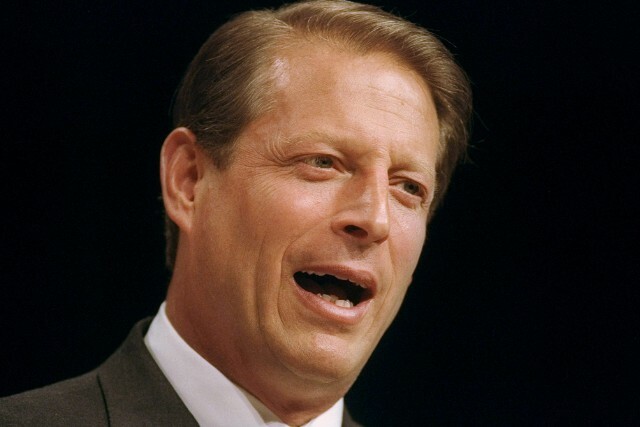 Ask anyone about Gore these days, and you're likely to hear about one of two things: His concern about climate change and how he purportedly claimed in 1999 to have invented the Internet. While Gore was only vice president at the time, he was thinking about running for the President's job, and the statement helped saddle him with an image as pompous and self-aggrandizing. Like Carter and the "malaise" speech, Gore never used the word, "invented." This is what he actually said, during an interview on CNN: "During my service in the United States Congress, I took the initiative in creating the Internet." Many techies took Gore's side, saying that while neither he nor any other single person created the Internet, he was, in fact instrumental in helping build out Internet infrastructure. But tech nerds were no match for the power of late-night television jokesters or, ironically, the power of the budding Internet. To wit, even today, you can still find the claim all over the Internet. It happened on October 13, 1988, during a presidential debate between Dukakis and then-Vice President George Bush. The mediator, CNN anchorman Bernard Shaw, asked Dukakis that if his wife were raped and murdered, if he thought he'd support the death penalty for the killer. "No, I don't, Bernard, and I think you know that I've opposed the death penalty during all of my life. I don't see any evidence that it's a deterrent, and I think there are better and more effective ways to deal with violent crime," he said coolly. In the debate's press room, reporters instantly declared Dukakis' campaign dead, Roger Simon wrote in a 2007 Politico piece. "He's through," they said, according to Simon. "That's all she wrote." "Get the hook!" 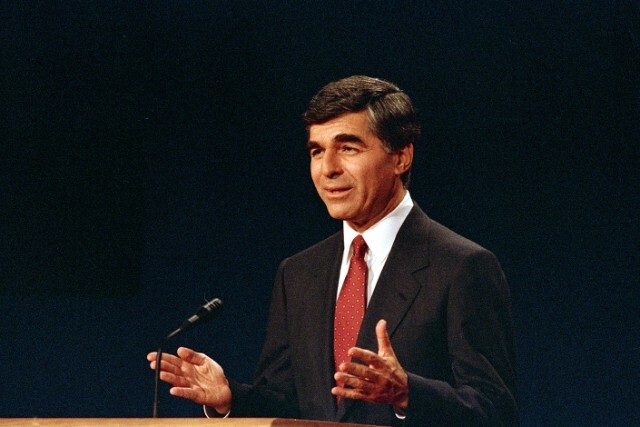 Even Dukakis' campaign manager knew it was over, Simon wrote: "When he answered by talking policy, I knew we had lost the election," Simon quoted Susan Estrich as saying later. CNN research librarian Toby Lyles contributed to this report.